Introducing lovely calligraphic font- Joanne Marie with lots of ornaments and glyths. For personal use. 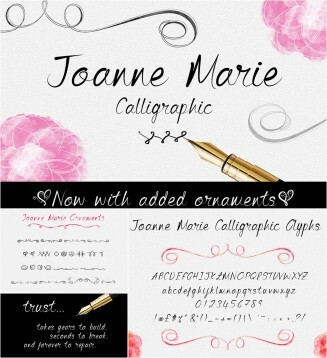 Tags: calligraphy, calligraphy font, hand made font, ornament, typeface.